You are here: REDWOLF > Home > News >News Detail - New Deep Fire Products - Coming Soon! Deep Fire is a company with a fresh, forward thinking approach. The young creative team are as much airsoft enthusiasts as they are inventors, and have been pioneering the way with some innovative new products. 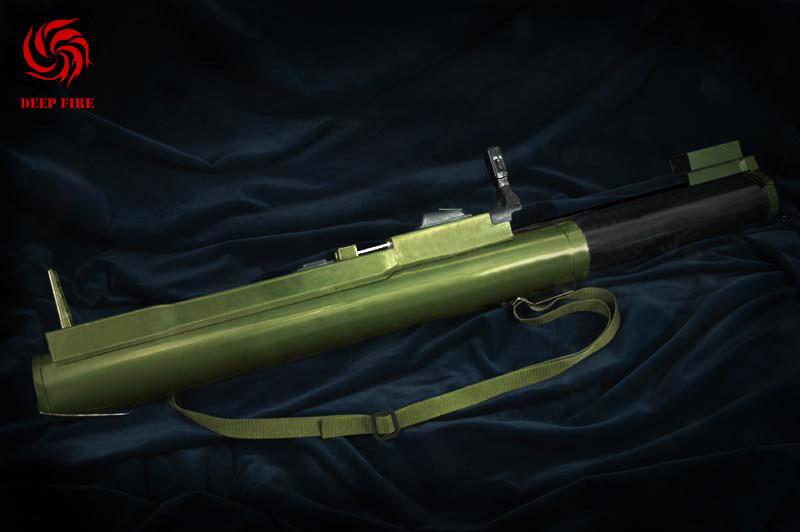 The latest product to come from Deep Fire is a real gem - the M72 launcher. At Redwolf, we have been fortunate enough to have handled it, and holding it and using it proved utterly entertaining. 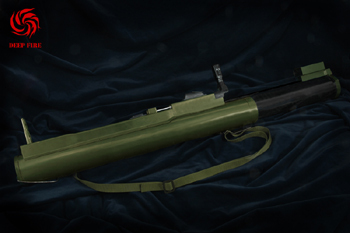 The M72 Launcher is a realistic replica of the M72 Light Anti-Tank Weapon - the primary choice of the U.S. Army for Anti-Tank weaponry (it replaced the bazooka after the Korean War). The Deep Fire M72 feels solid, and from touch alone you wouldn't assume that this is an "Airsoft" version. But it is, and that's certainly a good thing, as it means us Airsofters can get to use an M72! Thank you Deep Fire!! 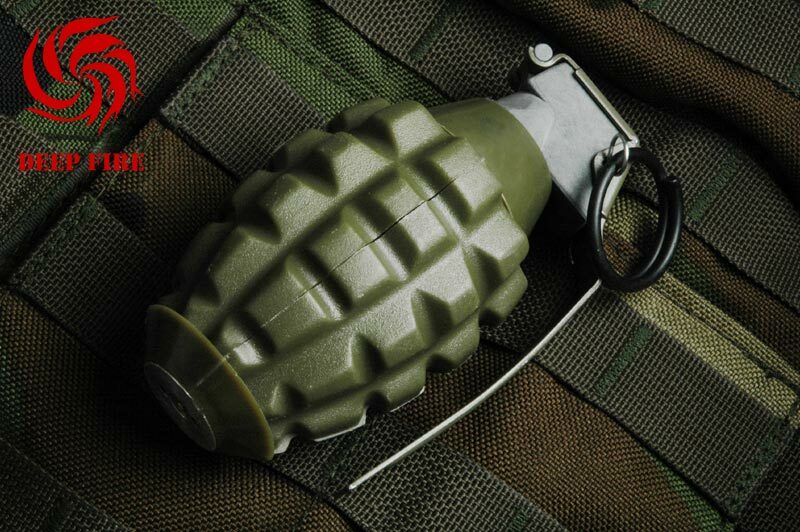 The fact that there are not many similar products available in the Airsoft market means that Deep Fire has quite a niche product. This new product from Deep Fire will bring a new dimension to Airsoft gaming, creating new possibilities. With the M72, Deep Fire is setting the standard for others to follow. The Deep Fire M72 uses any standard M203 gas BB shower shell. We tested it with Deep Fire's own M203 shell, Madbull shells, Mosquito Molds, and King Arms shells. All worked great in this launcher. And of course that means you can use HFC134a gas, TOP GAS, Green Gas, Red Gas, or even CO2 in this launcher depending on what your shell takes. The shells are easily reloadable into the launcher through a center breech, accessible by opening the back of the launcher. The launcher collapses and extends just like the real thing with flip up sights. Using BB shower shells, you can shoot just BBs, or you can just load up a fully charged shell and then plug foam rockets, nerf balls, water balloons, or pouches of baking flour into the smooth barrel to eject various fun objects. In the video below, we used a soft rubber NERF stress ball and a DEEP FIRE M203 shell charged with RED GAS. Effective range is well over 50 meters (150 feet) on this prototype although the final production version may have different power levels. Coming soon before Christmas! Price has not been set yet but check our website frequently for updates! Click on the video to see this launcher in action! Mind you, our tester told us afterwards that he felt a strong recoil when the launcher fired. Also notice the large cloud of gas emitting from the front of the barrel for extra realism!